General section for the main site. Little River County Fair Association cordially invites all friend and families to the “2018 Fish for the Fair” July 28th at 6pm at the fairgrounds. Make plans to join us! Download the Following Flyer Below. 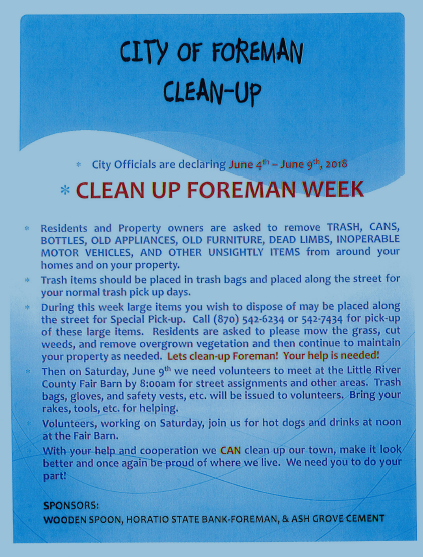 During this week large items you wish to dispose of may be placed along the street for Special Pick-up. Call (870)542-6234 or (870)542-7434 for pick-up of these large items. 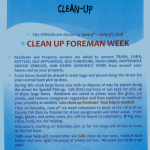 Please download the flyer for full details on the week. Ticket includes admission for 2 people with a steak dinner and an the fixings included. Come enjoy some great riding and great community! 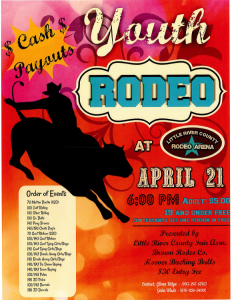 2018 Youth Rodeo! Make plans to come!